Home / NEWS / How Long Does a Back Muscle Spasm Last? We’ve all experienced it at some point in our lives. But before talking about how long does a spasm lasts and what to do about it when it happens, we need to review what we know about the different parts of the spine. Our spine is a set of multiple bony rings called vertebrae, which are stacked one on top of the other. The function of the vertebrae is to provide support to the body and protect the spinal cord. The vertebrae form a “tunnel” which houses the spinal cord (a bundle of nerves that takes messages towards and away from the brain to the rest of the body). The vertebrae are separated by firm pliable cushions called intervertebral discs. This stack of vertebrae and discs are held together by ligaments, and moved by muscles. 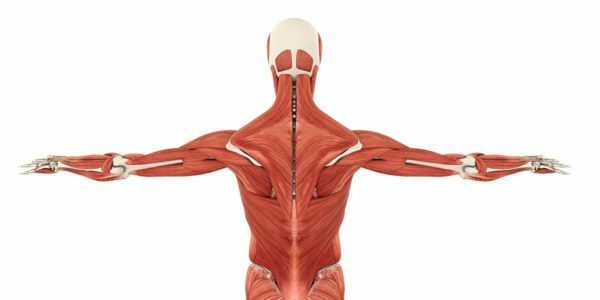 What is back muscle spasm? Muscle spasm is an involuntary sustained cramping or tightening of the muscle fibers that occurs due to a contraction. Such a contraction often results due to a response to weakness, overuse, strain, or injury. Common areas for a muscle spasm are thighs, calves, foot arches, arms, hands and abdomen. Muscle spasm can vary in intensity. The feeling ranges from mildly annoying like twitches to intense pain. The spastic muscle may show visible signs of twitching. It may appear distorted and usually feels hard to touch. These may last from a few seconds up to minutes, and may occur again and again. What are the common causes of back muscle spasm? How to deal with a muscle spasm on your own? The first step is to stop doing whatever triggered the spasm in the first place. Then gently stretch and massage the spastic muscle. Hold it in a stretched position till the spasm stops. After that you can apply ice to a sore or a tender muscle, or heat to a tense or a tight muscle to relieve pain. Massage or applying firm pressure on the affected muscle can be very helpful. To soothe a muscle spasm, press the affected area for 30-60 seconds and rub it in circular motion. If you feel a pulse over the area, do not massage it. Applying heating pads or heat therapy along with a massage can also be of great help in soothing the pain. If you live in a hot and humid climate, consider drinking a lot of water or better yet, an electrolyte drink. If you experience a severe muscle spasm and find that movement is too painful, consider taking some rest. This will reduce stress on the back by laying on your back and will help relieve the pain. The next day, try taking a short walk around the house. If you remain inactive for long periods, your muscles will become stiff and you will end up feeling more pain. Walking improves the blood circulation which speeds up the healing process. Treatment depends on the root cause. If the muscle spasm has occurred due to a sprain or overuse, the tips mentioned above will work. The muscle will heal back quickly and you’ll be fine. But if the spasm has occurred due to some other illness, these tips will only help you relieve the pain temporarily. Eat healthy, walk a lot and lose weight. Obesity puts stress on the spine and the joints, resulting in even more problems other than just back pain. Standing up straight with a good posture. Also improving your posture during your day to day activities. Do not spend too much time sitting or in bed. It will worsen the back pain. Say goodbye to chronic pain with patented technology from Harley Street specialists. Backrack™ is a clinically tested, back pain relief device designed to use at home. It can be easily added to your daily life style to treat and prevent all forms of Back pain and their associated symptoms. Find more details here!